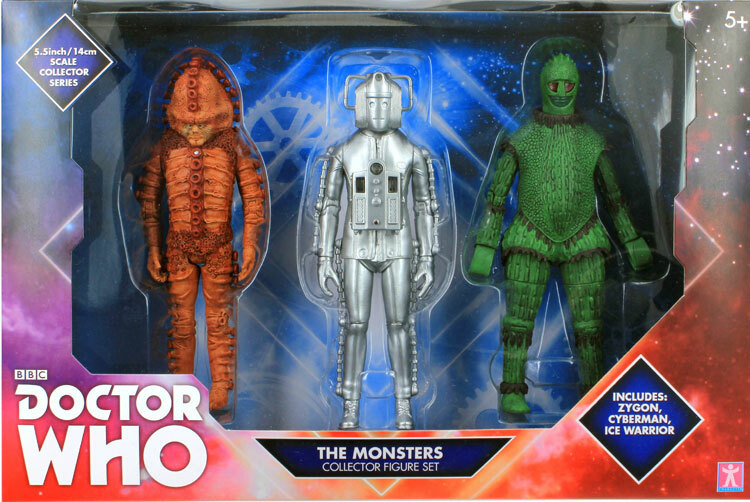 The Monster set contains an Ice Warrior, Zygon and Cyberman. Does anyone know if these are still in stores?? How did you find out booboo? Are there any pictures? How do you know? Are there any photos?! I am waiting for confirmation on the contents of the 3 5.5″ sets before saying anything. Still none in my local B&M… I asked the staff, and luckily they had heard of the sets, unlike the last time I went when they looked at me as if I was speaking another language! I didnt know these existed until today when I found a good number of all the sets in my local B&M. Agree with the majority of the comments that the 10th set brings nothing new , but am very happy with my Monsters and 3rd sets. Especially as they were discounted (even if it was just ti £12.99 instead of £14.99). Do you think these will still be available booboo? Has anybody else found that the wrists are bit loose on these figures? It’s nothing major but have bought two Monster sets and they both have this issue. Are any of those figures slightly different to the other versions?? The Invasion Cyberman may be considered a variant by some as the handlebars don’t stick out as far on the head compared to the original and the Zygon is painted in a darker wash this time. Picked this set up at the B&M in the centre of Sheffield – there was one more of this and 2 Tennant sets, but no sign of Pertwee. 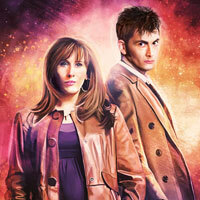 My friend in Port Talbot said she looked at the B&M there for me, and the sets have sold out. I’m a happy guy for now with my Monsters set but am hoping to locate the Third Doctor set some time in the near future… Fingers crossed B&Ms across Britain get restocked in the next couple of weeks. Got mine today – love it !! These are exactly the monsters that we need the revived versions of in 5.5″! So do you think these will just start showing up in stores from next month? Or is it possible they might even show up this month? I will let you know booboo when the store I work at gets them in. You work at the Grimsby store don’t you Mick? That’s my local store. The last lot of these sets seemed to sell quite well. Always new stock every time I went in. Judooning any sign of these yet? Never got a Zygon the first time round and the Invasion/Revenge Cyberman is my favourite design. 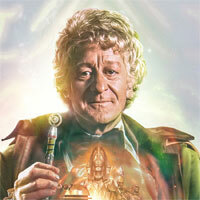 The Third Doctor set is a must for the blue jacket Pertwee, and I don’t have a Jo yet. 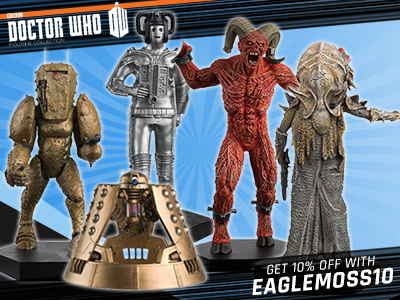 Much as I love Tennant – era Who there’s nothing in the 10th Doctor set to entice me, so I’ll probably be getting two of these and one of the 3rd Doctor sets. 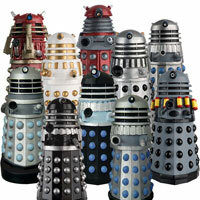 Isn’t this just the ultimate 8th Doctor enemy boxset. 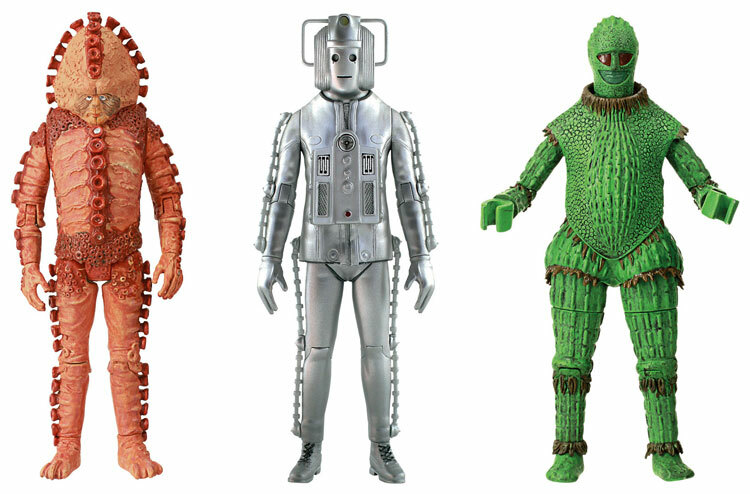 Ssard the Ice Warrior, Zygon from The Bodysnatchers and Cyberman from Sword of Orion! Terrific! Or a bit of black paint on the Cyberman faceplate and you’ve got a Kroton! Yay! More bargain B&M figure sets! Army build perfection. 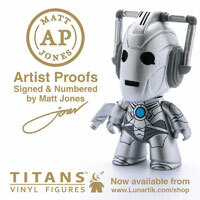 mind you, why in the mock up does the Cyberman have a different right hand? Its to hold the gun when it was originally produced it came with the gun used in the episode. A new series vreion of this set wouldn’t be amiss, featuring all the monsters’ revamps from 2013. 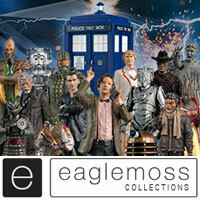 Unfortunately that would involve three almost entirely new sculpts – they do have the scans for all of them in 3.75″ so it could be possible but it would probably have to be 2-3x the price of this, as a Forbidden planet set/individual figures rather than one of these B&M sets. 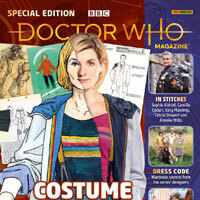 Does the Zygon look any different in the packaged image? I’m sure the orange paint application lools darker then again it could just be the lighting. 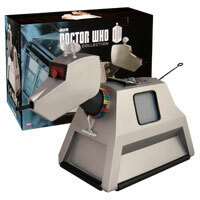 Oh c’mon, the Cyberman doesn’t even come with his gun! 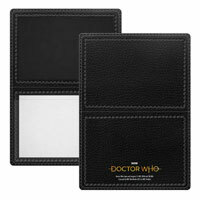 Will there be a link to the order page on this site when they are available? But haven’t previous sets been on the Internet? We have had two. Stealth (black) Cyberman and the damaged Cyberman that came with Peri. We need an ordinary one and the controller. 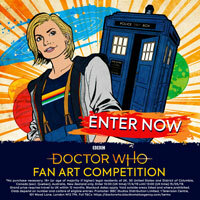 Not had a Wheel Cyberman yet. Size issue with Wheel? I would of thought they would of made them the same size as the Tomb versions. Nightmare in Silver 5″ is needed as above we don’t have a Wheel but we have all the rest. I would of thought CO would do some more in the collectors series.